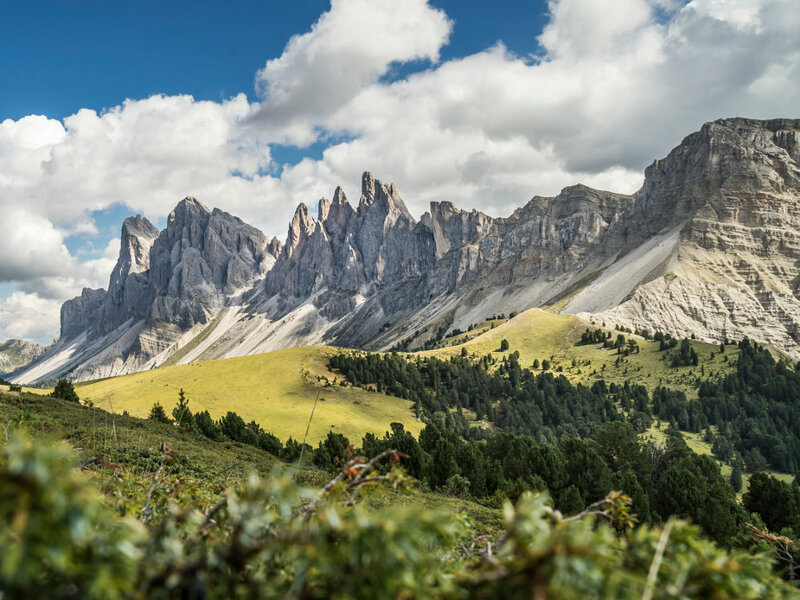 The beautiful peaks of the UNESCO World Heritage site of the Dolomites are always in view! 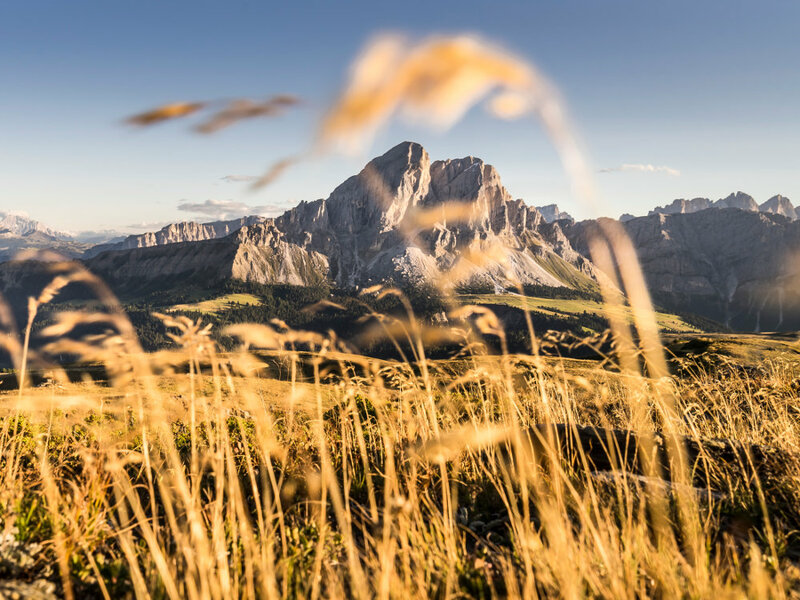 The Dolorama Route runs in four stages, from the Rodenecker and Lüsner Alm mountain pastures around the Ploseberg mountain to the village of Laion/Lajen – an unforgettable hiking experience through the valleys and mountains of the South Tyrolean Alps. The 61-km long Dolorama tour starts gently and then passes through the unique varied landscape of the Valle Isarco/ Eisacktal Valley. Leaving the rich pastures of the Rodenecker and Lüsner Alm pastures, the route reaches the rugged rock formations of the Aferer and Villnösser Geisler, leading through pastures and meadows down to the village of Lajen above the medieval town of Chiusa/ Klausen. 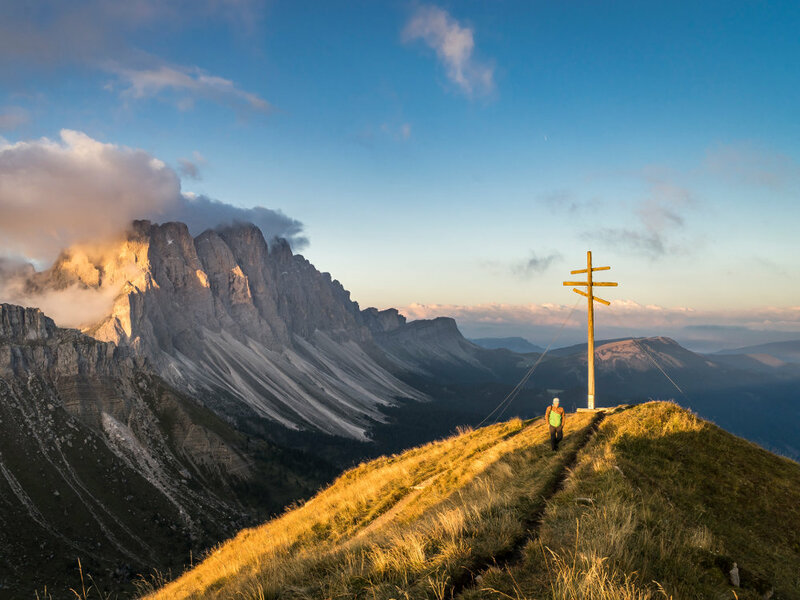 A spectacular panoramic view is to see along the entire tour on the horizon: the unique high rock formations of the Dolomites. First, the impressive Peitlerkofel in Funes/Villnöss, close to the Gömajoch ridge in the Puez-Geisler Nature Park comes into view, and then near Raschötz beneath the Geislergruppe mountains, the view extends to the peaks of Langkofel, Plattkofel and Schlern. The Dolorama trail consists almost entirely of forestry paths and hiking trails, and is only crossed once by a paved road. 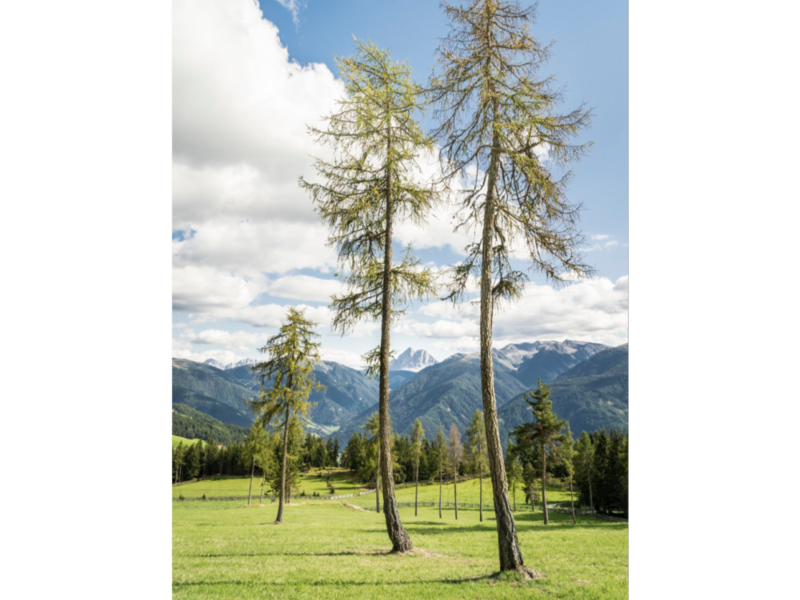 Along the way there are many rest areas and observation points to stop at: for example, the prehistoric settlement site at Astmoos on the Luson/Lüsner Alm pasture or the geological site on the Würzjoch ridge, which shows traces of hundreds of million years of Earth's history. For those who want to undertake the 4-day tour in stages, there are numerous access paths and descents along the entire route. These, as well as the starting point and target destination, are all easily accessible by local public transport. 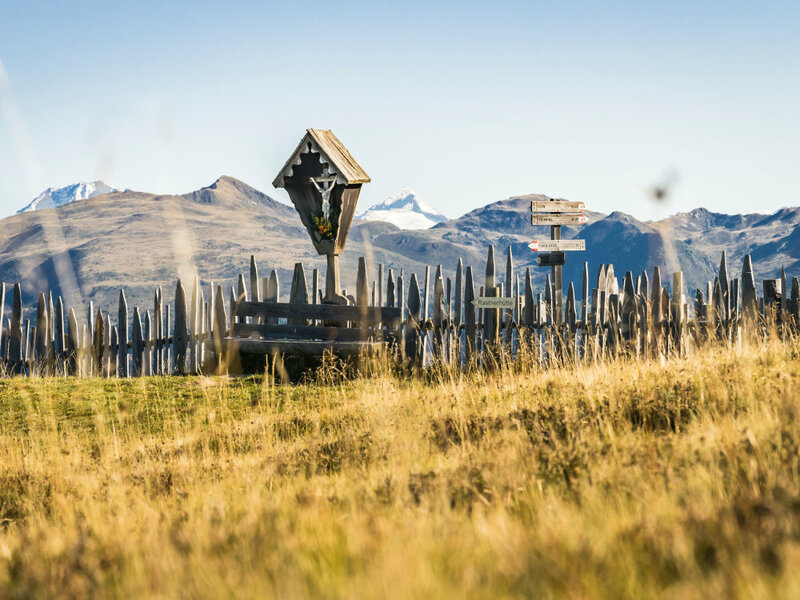 There are many Alpine huts along the way, offering refreshments and accommodation. 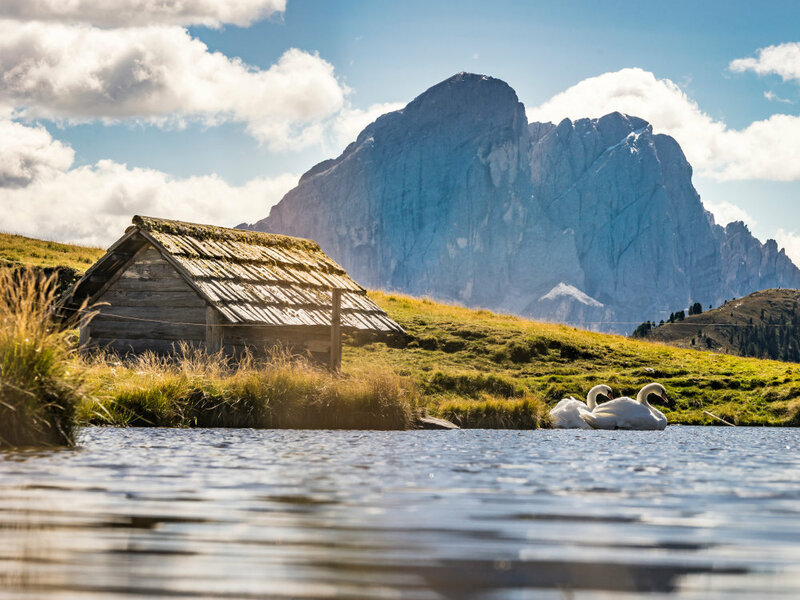 All in all: a pure experience of the Dolomites in nature! » Walking time: approx. 19 hours 15 min.